Connie Finnan is in Ireland a rather successful dart player, who already won the national championship several times. 2009 he threw during an I.N.D.O tournament the first ever nine-darter which was thrown in Roscommon. Finnan played often in the national team of the Irish Republic. He reached both a semi-final and a quarter-final of a WDF World Cup and when the World Cup was played in October 2012 in Ireland he stood under the last 16. Once he reached a Winmau World Masters quarterfinal as well. 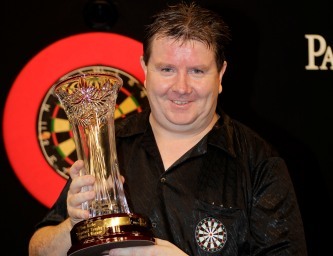 Finnan in 2011 won the Tom Kirby Memorial Trophy and qualified by this for the PDC World Championship 2012.